As part of our dedication to helping you recover after a disaster, we will provide claim assistance by working with your insurance company. Our phone lines are always open at 775-546-2036 so that we can respond quickly to emergencies in Sparks, NV and the surrounding areas. 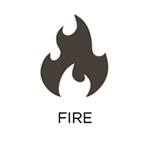 A fire can overtake a home or building in an instant and the damage it causes is often severe and very dangerous. After the flames are extinguished, harmful chemical emissions and corrosive byproducts are still lingering and they can cause the damage to spread further and become permanent. 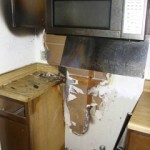 RestorationMaster provides smoke and fire damage repair services to homes and businesses in Sparks, NV. We have the proper training and equipment to remove soot and smoke damage from even the most delicate surfaces and we can also remove smoke odor from the building and furnishings. 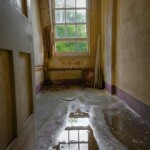 One of the most common types of property damage to occur in a home or building is water damage and it can be caused by many different factors such as heavy rains, floods, leaks, humidity, and excess moisture. 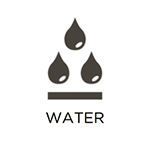 Many forms of water damage can be relatively minor if discovered quickly enough but water damage can spread by being absorbed into building materials so it is best to take action as soon as possible. RestorationMaster provides water damage restoration services to help homes and businesses in Sparks, NV that have sustained water damage. Our trained professionals can completely remove the excess water or moisture from the building materials and furnishings of your home or office. Mold may appear in a home or building as a result of unattended water or moisture damage and if you do notice mold growth in your home or building, it must be removed immediately. 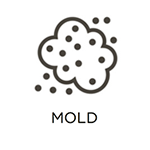 Mold growth often damages or destroys the surfaces it grows on but it can also cause negative health reactions such as allergies or infections. 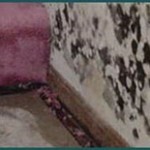 RestorationMaster provides mold remediation services to remove mold growth from homes and buildings in Sparks, NV. We will repair or replace the surfaces affected by mold once it is removed and work carefully to keep the mold contained to the already affected area. Sometimes extreme disasters such as fires, floods, and storms may cause severe enough damage to a home that it is unsafe to inhabit. If a home is left exposed or unstable following a disaster, it must be secured immediately until proper restoration can take place. RestorationMaster provides board up services to stabilize heavily damaged homes in Sparks, NV until they can be properly repaired and restored. Our technicians have the experience to effectively board up and close off any openings or exposures to protect your home from further damage or vandalism. Natural disasters always affect more than just your home or building as personal belongings tend to get damaged as well. Mold, water, and fire damage can affect a variety of personal items and the damage can quickly become permanent without the proper cleaning and restoration. RestorationMaster provides content cleaning and pack-out services in Sparks, NV to clean and restore personal items that have been damaged in a disaster. If your home is in good enough condition we can clean your content on-site and we also offer pack-out services if your home is in unstable condition. 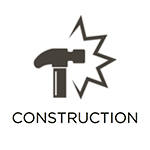 When a construction project is finished, the area is still usually in disrepair as the dirt and dust created by the project is still settling and certain building materials and supplies may be scattered around the area. Construction sites must be cleaned after the project is completed to make the area safe and RestorationMaster provides post construction cleaning services in Sparks, NV. Our technicians can effectively clean up the dirt and dust from the construction site and we will also clear any leftover building materials and other debris so that the area is safe to walk through. Hoarding can be a very difficult issue to deal with but as we learn and understand more about hoarding, we can provide better help for those that struggle with the disorder. Hoarding behaviors are often caused by deeper anxiety issues and the consequences of these behaviors can be dangerous for the individual and their families. RestorationMaster provides hoarding cleaning services in Sparks, NV to fully restore the homes of hoarders. Situations involving biohazard materials, whether it is mold, sewage, or blood from a serious accident, should only be handled by specially certified professionals. These materials contain bacteria, viruses, and other harmful toxins that can spread infection and disease with improper handling. 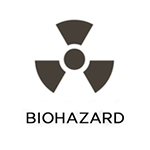 RestorationMaster provides biohazard cleaning services in Sparks, NV for a variety of scenarios including trauma scenes, violent crime scenes, and sewage backups. Our technicians can effectively remove biohazard materials as well as restore and disinfect the area and if the situation involves a serious injury or death, we take a compassionate approach to help ease the emotional burden of the friends and family members of the victim. For a free estimate on any of the services listed above in Sparks, NV and the surrounding areas, contact RestorationMaster at 775-546-2036. We provide free estimates and are available 24/7 for emergency calls.